A picture speaks a thousand words, is a saying everyone agrees on. Whether it is a business, a website or educational report, a picture is crucial for proper presentation. Using a copyrighted image is illegal and can even get you sued, and hiring professional models or visiting far away places for photography is quite expensive. Fortunately, there are stock photos available on almost every genre that you can easily get for free or very cheap. However, finding high quality free stock photos isn’t really an easy task. There are many free stock photos websites, but many of them offer low resolution photos. There are still some stock photo websites that offer quality photos for free, you just need to dig a bit deeper to find them. Good for you that we have done the digging part for you and created this list of 10 best free stock photos websites. Now all you need to do is dig these 10 websites and find the right one for your needs. Flickr is one of the biggest photo sharing website owned by Yahoo. Most photos are copyrighted and cannot be used for commercial use or without providing the original source. However, there are still many contributors who upload images on Creative Common license enabling them to be used in any way. 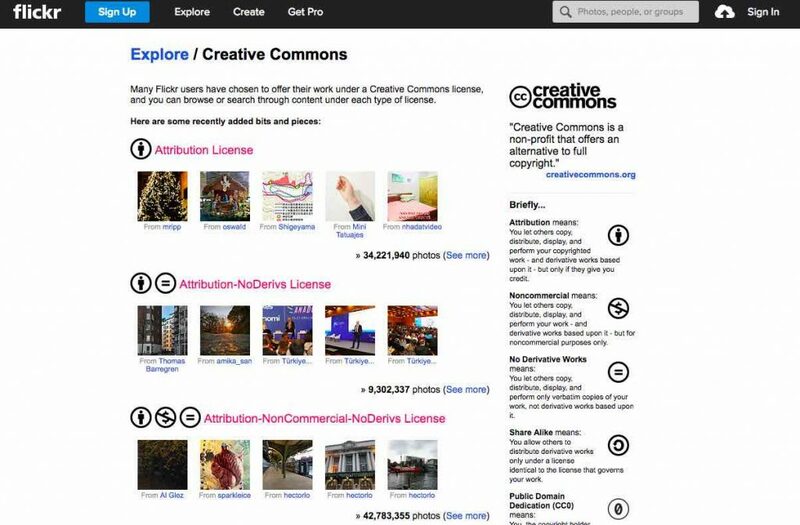 All you need to do is access Creative Common license photos on Flickr and use them as you please. Although, you will see some other similar licensed based photos there, including Attributes License, but make sure you only go for CC0 (Creative Commons Zero) license photos. At the time of this writing in 2019, Flickr has more than 1 Million photos with CC0 license, and more than 34 Million images with Attribution license. Before using any stock photos from Flickr, make sure you read the copyrights. There are many similar rights or some people might have restricted some types of distribution. 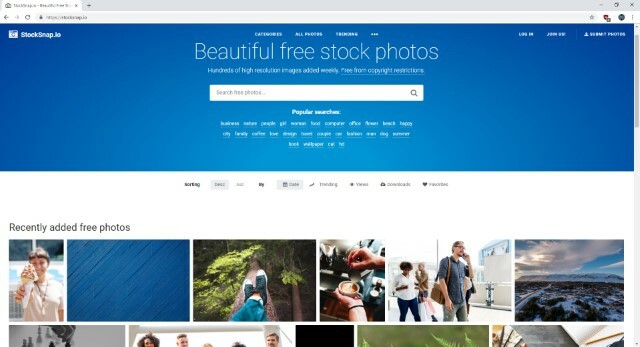 Flickr has a huge collection of stock photos for free that you can use anywhere. If you are willing to be a bit careful, you will be able to access thousands of stock photos. Pexels is relatively new free stock photos website, which is why you might not be able to find huge collection of photos. However, they offer quality in every aspect. All photos available here are high quality and based on Creative Commons license which means you can use them freely for personal or commercial purposes, and you don’t have to provide any attribution. The website is also quite intuitive and user friendly with all the information served in front of you. There is a big search button on top which you can use to find the photo of your choice, and you will find popular searches below it to see what other people are searching for. You can check out both new and popular photos right in the main interface. Even though the website is still new, it is growing up quite steadily. The developers add 10 photos everyday, 7 days a week, that are hand picked from different free image sources. 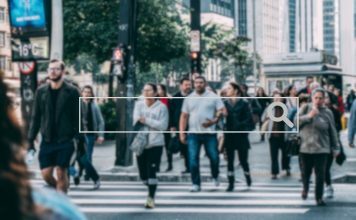 So far, there are only 4000+ images, but images with high quality and easy search gives Pexels enough credit to rank at the second spot in our list. Apart from images, Pexels now provides you with royalty free videos as well which is something unique. Popular Categories: Art, Black-and-White, Car Building, People, Vintage, Technology. 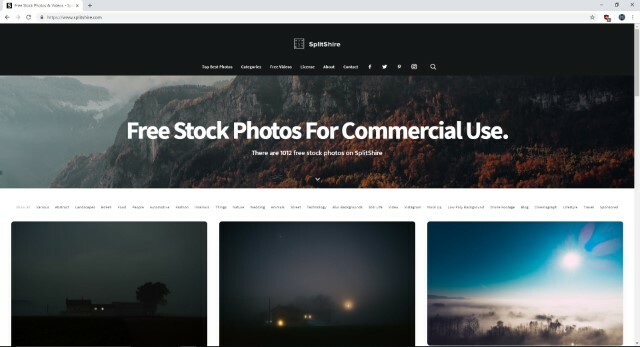 StockSnap.io is another popular website for downloading free stock photos with high resolution. All photos uploaded here are under CC0 license, which means you can use each and every image here in any way you like for both personal and commercial use. The website is also quite attractive with a search bar at the top and newly added photos shown below it. They don’t have years of presence in this field, but still they have quite a big database with thousands of photos from every genre. New photos are added every day and hundreds of photos are added every week. You can also become a part of the community and upload photos yourself. All you need to do is sign up with them and start uploading photos. However, photos must be uploaded under the CC0 license and must not have prior copyrights. Pixabay has a huge database of over 1.6 Million royalty free photos and videos, and new being added everyday. All images are uploaded under CC0 license, and you will even find stock videos here. You can search the website with any query and you should be able to find lots of free stock photos on it. It has an amazing filtering feature, which lets you filter your search to get the most precise results. Here you can specify media type, like Photos, illustration, videos or Vector graphics. There is also a big list of categories from which you can specify in which genre your search lies. To make things even more precise, you can also select color of the picture you want. You can also contribute to the website by taking photos and uploading them to Pixabay. The photos must not have any copyrights and the photos will be under CC0 license, once uploaded. There are two main categories as well, Editor’s Choice and Photographers which you can use to search beautiful photos. Popular Categories: Animals, Education, Monuments, Religion, Emotions, Travel, sports, Food, Technology. 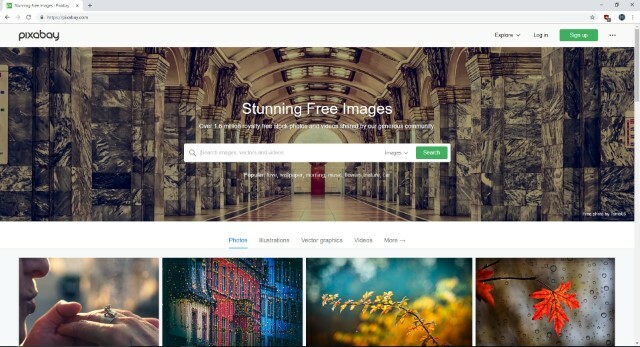 Free Images offers both paid and free images and they have a huge collection of photos. They have over 380,000 photos and these are just free ones. You can get more than 2.4 million premium photos. It is quite simple to navigate the website, you can either use the search bar or browse the categories. Each category shows total number of photos and you can just click on any image to open its details page. In the photo details, you will find tags, author name, download button and a button to favorite the image. You can also search photos by tags, if you are comfortable with it. The photos are uploaded by both editors and community. You can create an account and start uploading CC0 licensed photos, although do check out their term and conditions before starting. Popular Categories: Architecture, Animals. Fashion, Religion, Games, Festivals, Home Designs, Education, Celebrities. 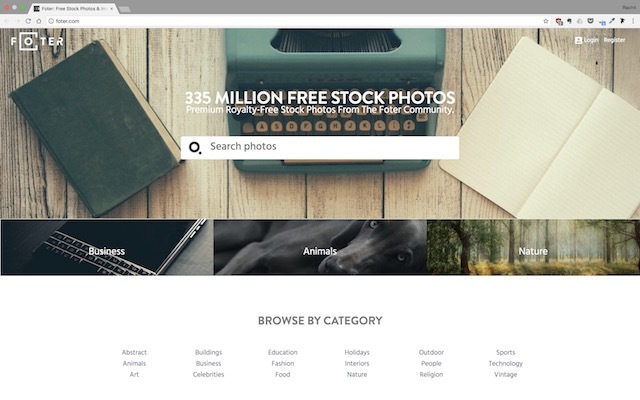 Foter is the biggest free stock photo website on the internet right now. 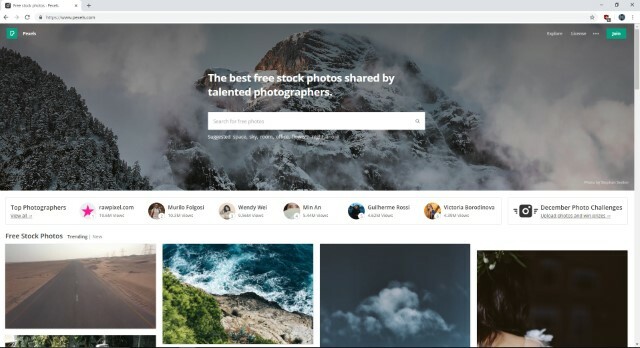 Hosting more than 335 million free stock photos, Foter gives you access to all the free images that you might ever need. What I love about Foter is that of all the images it hosts, more than 220 million photos are available to use for commercial purposes. While the photos hosted on Foter are not of the highest quality, the quality is more than enough for being used on a website or a paper you are writing. The only thing that Foter asks you to do is to attribute the photo that you are using. Personally, I don’t find this a big deal as I love to promote creatives who are doing good work for free, however, if you have any problems with this model, you can look at other options on this list which don’t require you to provide an attribute. Popular Categories: Abstract, Art, Education, Building, Fashion, Interior, social media, smartphone, apps and more. SplitShare is a simple free stock photos website with to-the-point interface. It is not a huge website, but it has some very creative photos with high resolution. You will find a simple search bar where you can search for the photo you need, or just use the categories mentioned below it, to find the photo of your type. There is also a premium subscription that will let you download photos in bulk. Even if you use free version, you can still access all the photos, but you will have to manually search and download each photo. With premium membership, you can download all photos and even 30+ videos with just a single click and at great quality. Popular Categories: Animals, Automotive, Blur Backgrounds, Bokeh, Bundle, Instagram, Interiors, Still Life, Street. 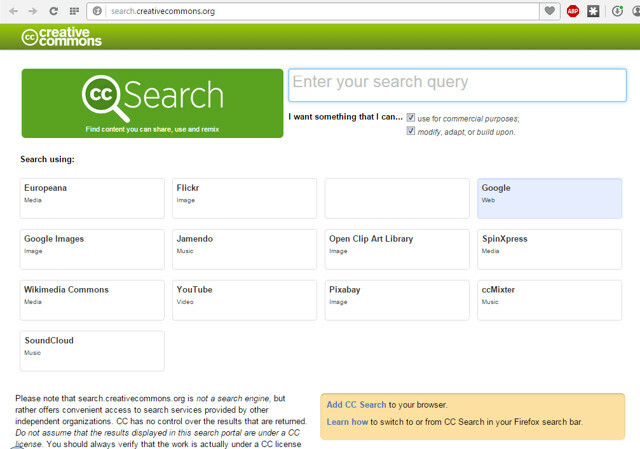 Creative Commons is not actually a website that offers free stock photos, instead, it works as a search engine. It is created to search for images, videos and music that is royalty free using the most famous websites in this field. All you need to do is enter your query in the search bar and select the name of the website from which you want the CC0 licensed photos. You will see immediate results in the interface of the specified website. After entering the query, you can click on different website to check their results quickly. 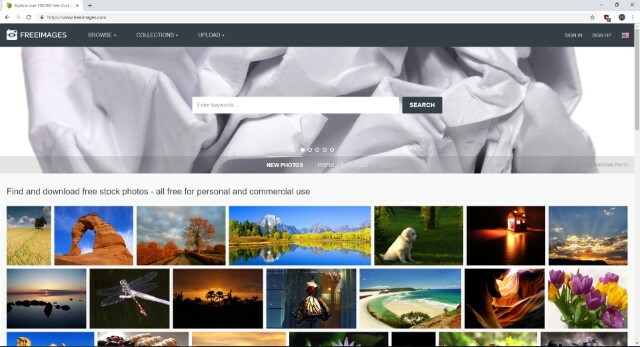 This makes this tool perfect for faster search of your required photos from the best sources like, Flickr, Europeana, Open Clip Art Library and Pixabay. Images sources: Flickr, Open Clip Art Library, Google Images, SpinXpress, Pixabay, Wikimedia Commons. 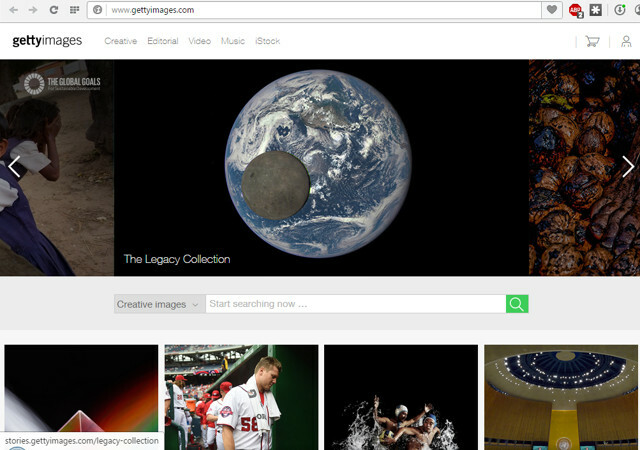 Getty Images is one of the biggest hub for free images with over 35 million stock photos available for free. However, they charge for the commercial use of their photos. You can use photos from Getty Images for personal use, editorial use or even on blogs, etc. for illustration purposes. But you can’t use them for advertising of a company or products, and other similar commercial use. All you need to do is hover your mouse cursor over a picture and click on the embed icon (</>). Now, just copy the code and paste it over your website/blog. The picture will be displayed on your website while being hosted on Getty Images. If you would like to use these images at commercial level, then you will have to pay $500 for each picture. This amount can be decreased to anywhere between $380 to $500, if your purchase images in bulk. Searching images is simple, you just enter the name or type in the search bar and make sure “Royalty free” option is checked. Popular Categories: Health, Energy, Family/Kids, Office, Nature, Sports, Business, Food. When it comes to quality stock images, nothing can beat Unsplash as far as free stock photo websites are concerned. I mean just click on the link below and look at the photos. You will be blown away by the images that are hosted on this platform. Add that to the fact that Unsplash hosts more than 200,000 images, you have got a platform which can provide you with photos for most of your needs. What I love most about Unsplash is that its platform is driven by its awesome community. There are more than 41000 photographers who upload photos on a regular basis so you will never run out of new photos. The best part is that you don’t have to attribute images, if you don’t want to. Unsplash is also good for finding beautiful wallpapers for your desktop so even if you don’t use the platform for commercial purposes you can use it to get awesome wallpapers. This is one of my most favorite stock photo platforms and I cannot recommend this enough. Popular Categories: Architecture, Animals. Nature, Business & Work, Design & Patterns, and more. Burst is a free stock photo platform made by the creators of Shopify. 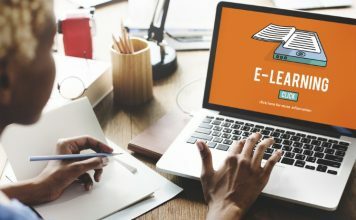 If you have never heard of Shopify before, it’s basically a platform which allows you to create your own e-commerce website without having to learn any coding. Burst is a free service given by Shopify to its users so that they can use high-quality images on their website. The good thing about Burst is that you don’t need to be a Shopify customer to utilize the photos. While the number of photos here nowhere near match any of the other platforms on this list, the photos themselves are of higher quality as they have been taken by paid professional photographers. Also, Burst is mainly focused on serving businesses, hence the photographs that you will find here are quite unique. If you run a business or represent one, there is no better place to find royalty free images. 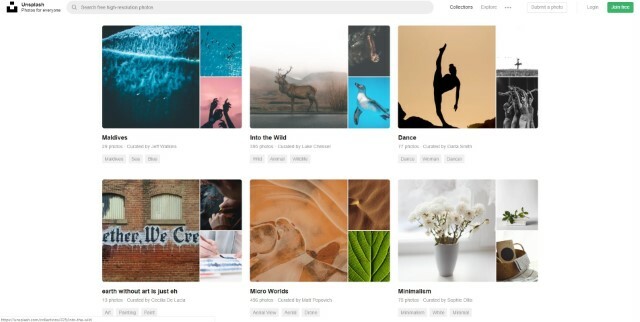 The collection of photos on Burst is also constantly increasing, so you’ll almost always be able to find new photos for any category you’re interested in. Popular Categories: Business, Retail, Fashion, Food, Urban Life, and more. Google Images is also a great source for finding free stock photos. 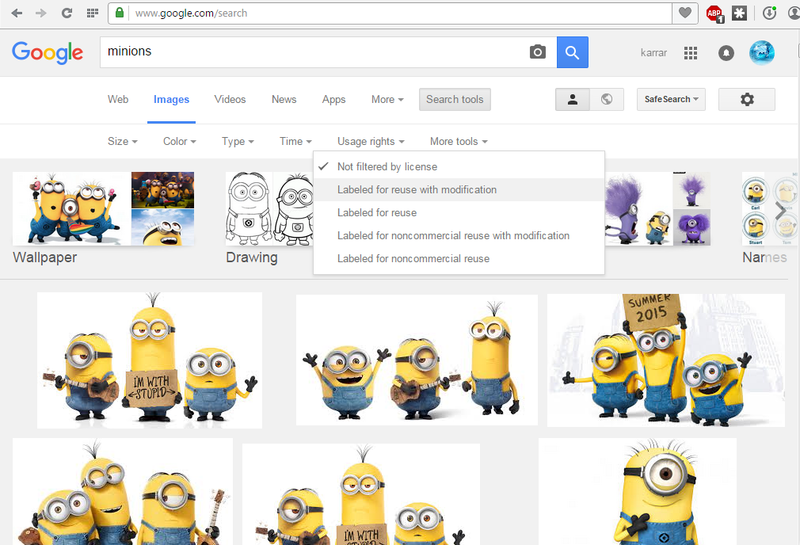 If you add some filters, Google Images can search for photos that are free to use and only show these photos to you. Although, the quality of the images cannot be guaranteed as Google will search the whole web to get royalty free images, including low resolution images. The process is simple, go to “Google Images” and click on “Search Tools” in the above menu. A tiny menu will open below it, here, click on “Usage rights” and select your option to filter the search. Here, “Labeled for reuse with modification” is the option to get CC0 licensed photos. Although, there are many other options too if you want to search for different licensed based photos. This is handy if the current search is too limited and doesn’t provides the right image. If you know any other free stock photo site that deserves to be on the list, shout out in comments section.